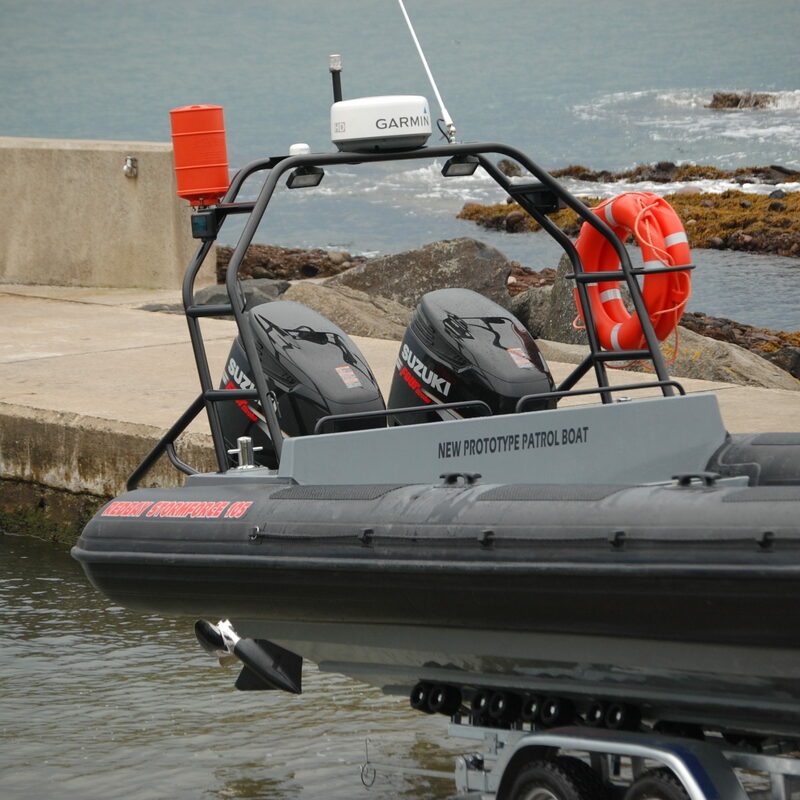 The Stormforce 1050 was developed to fill a gap in our product offering. 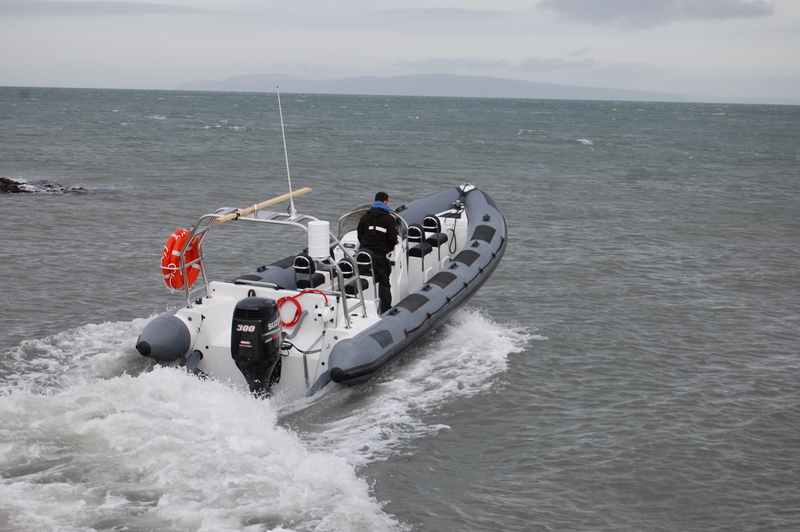 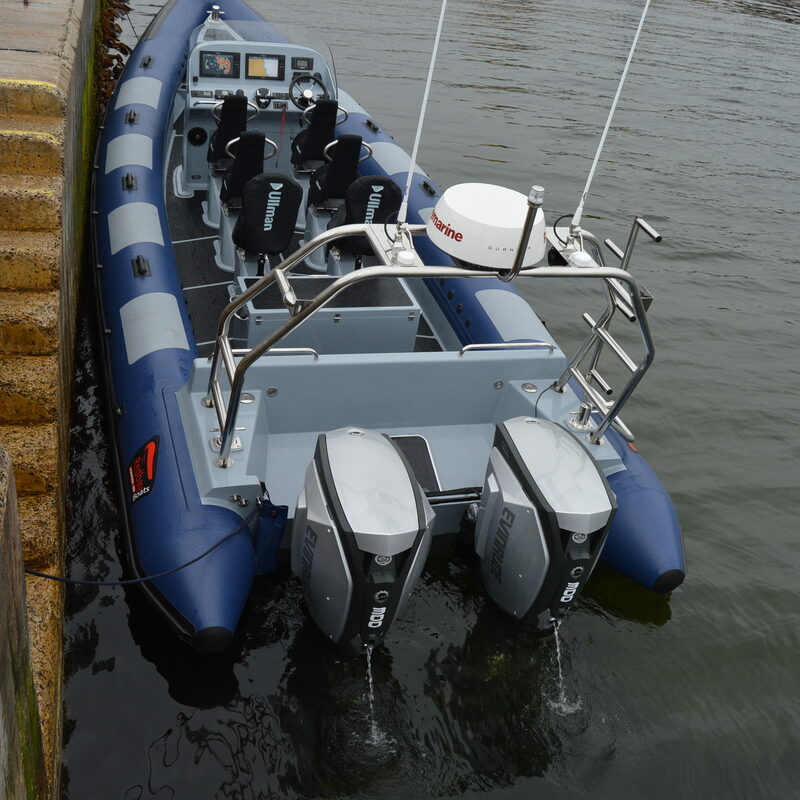 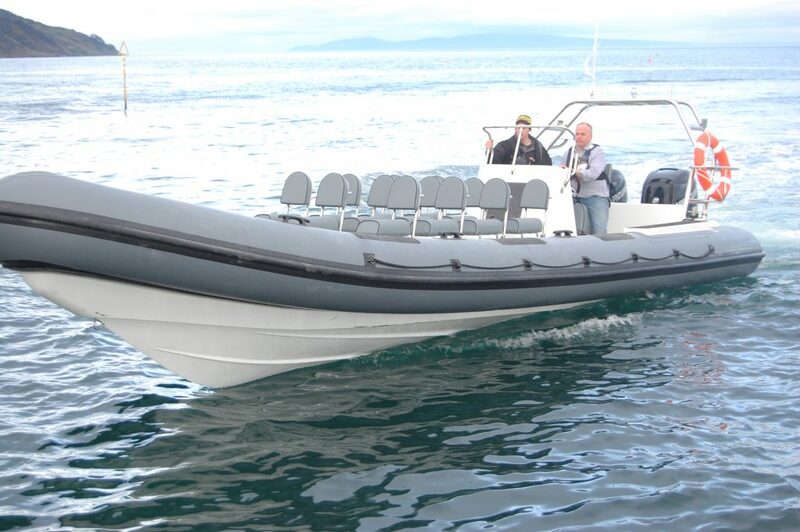 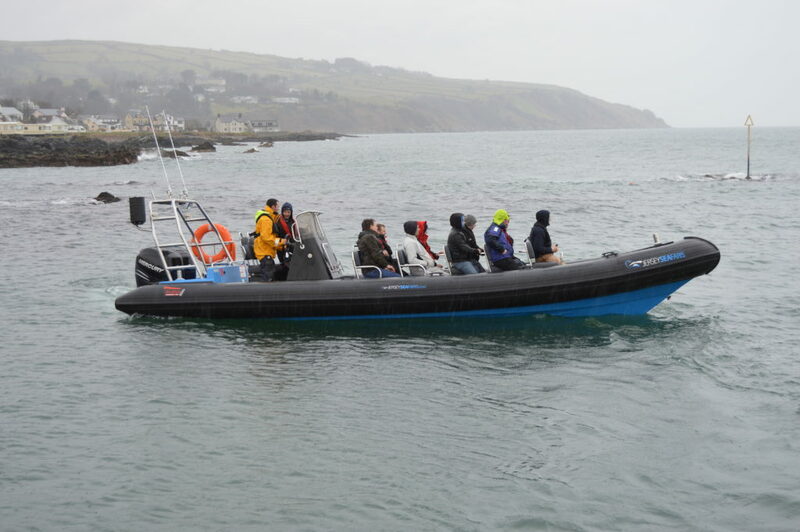 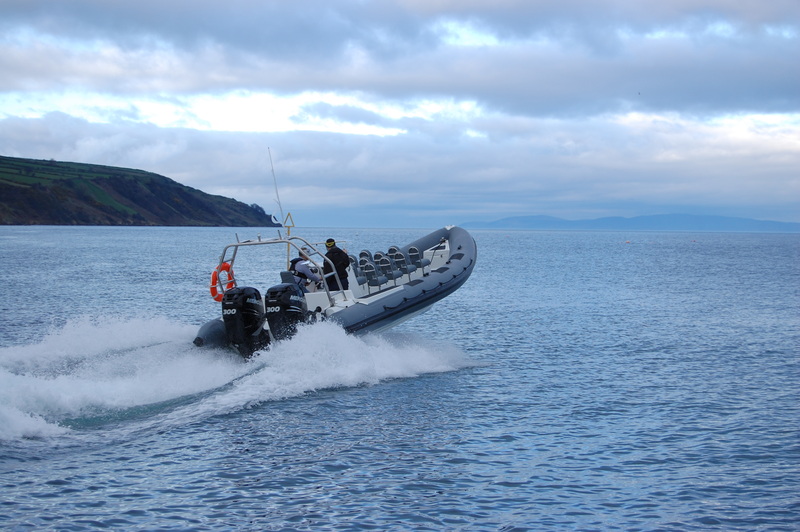 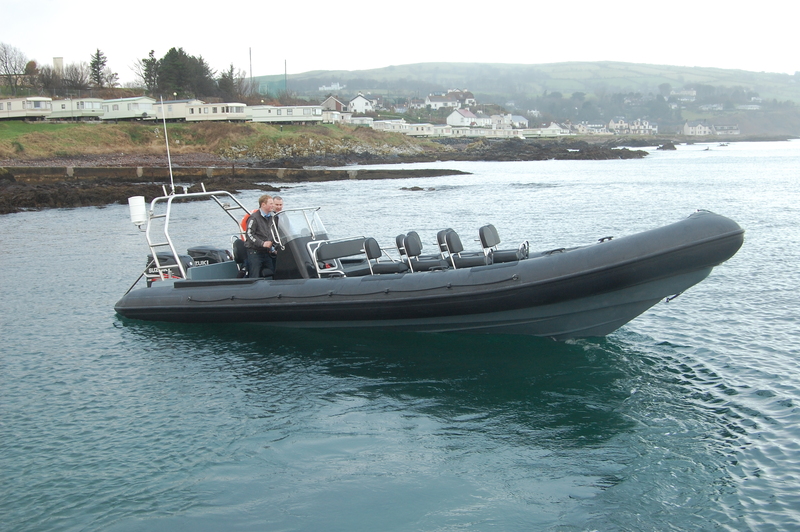 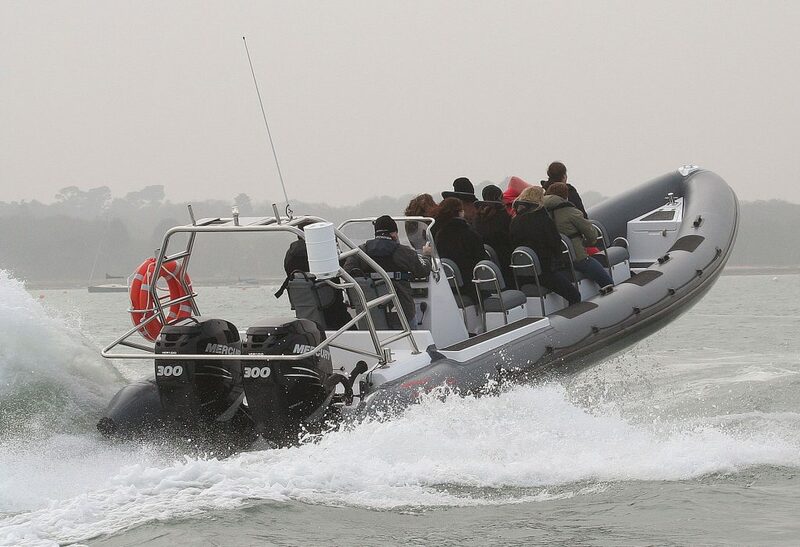 It was designed as a wide bodied, load carrying RIB primarily for the commercial and patrol sectors of the RIB market. 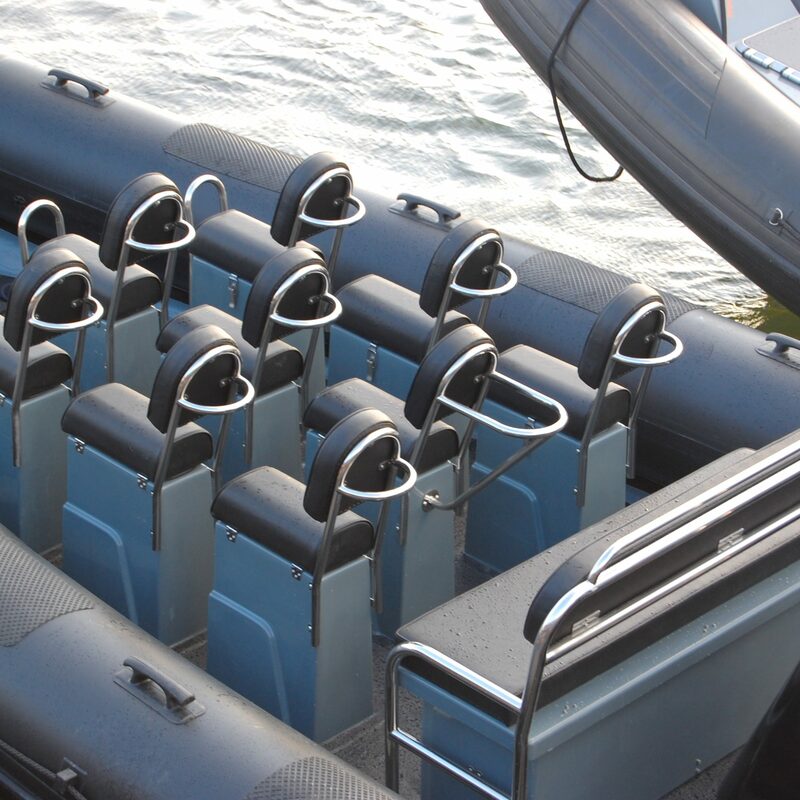 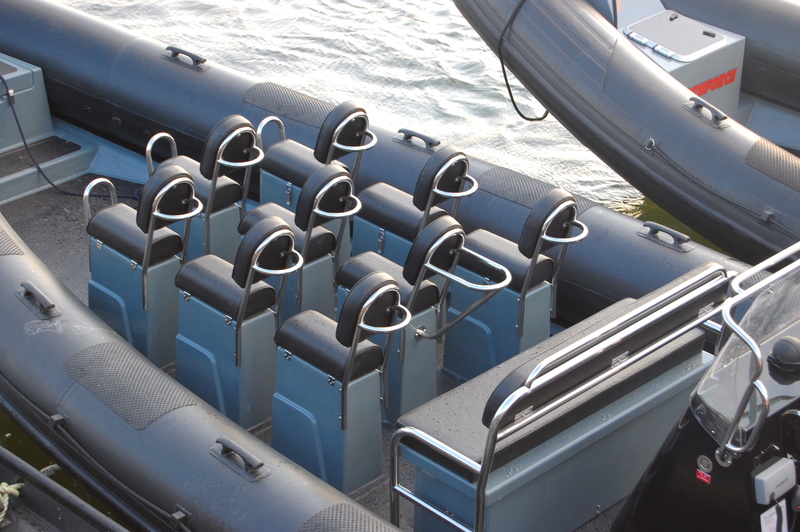 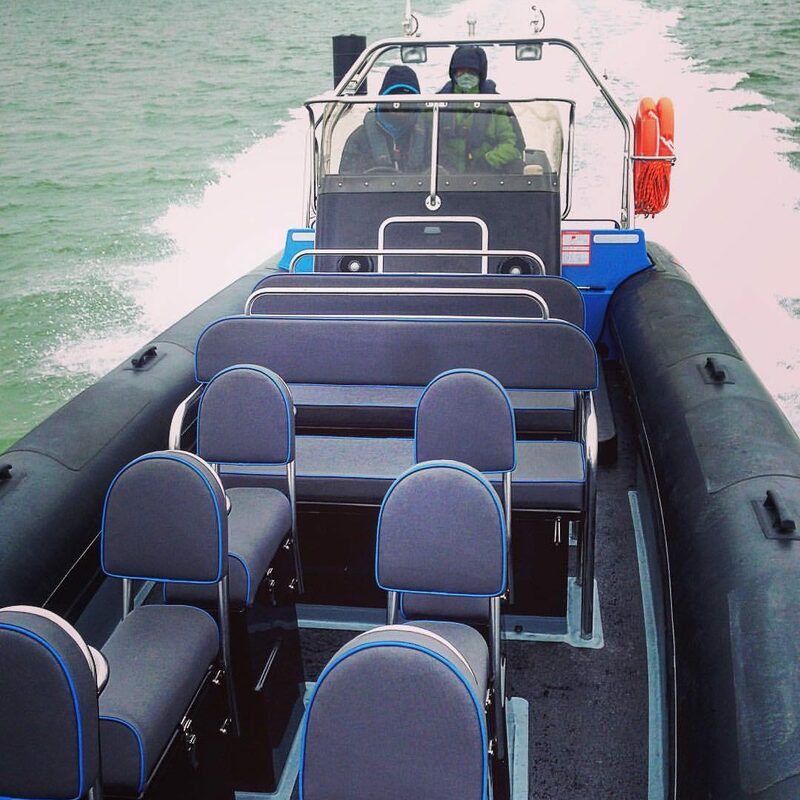 This particular design lends itself well to either a sea-safari boat or a crew transfer boat, the large foredeck allows the boat to carry 12 passengers on individual pod seats. 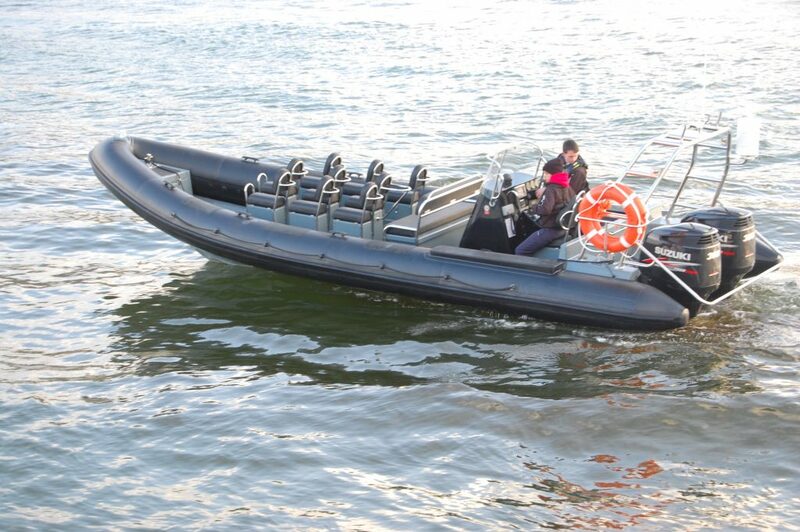 The hull form has been derived from the mighty Stormforce 11 and as result the ride is extremely comfortable and very dry. 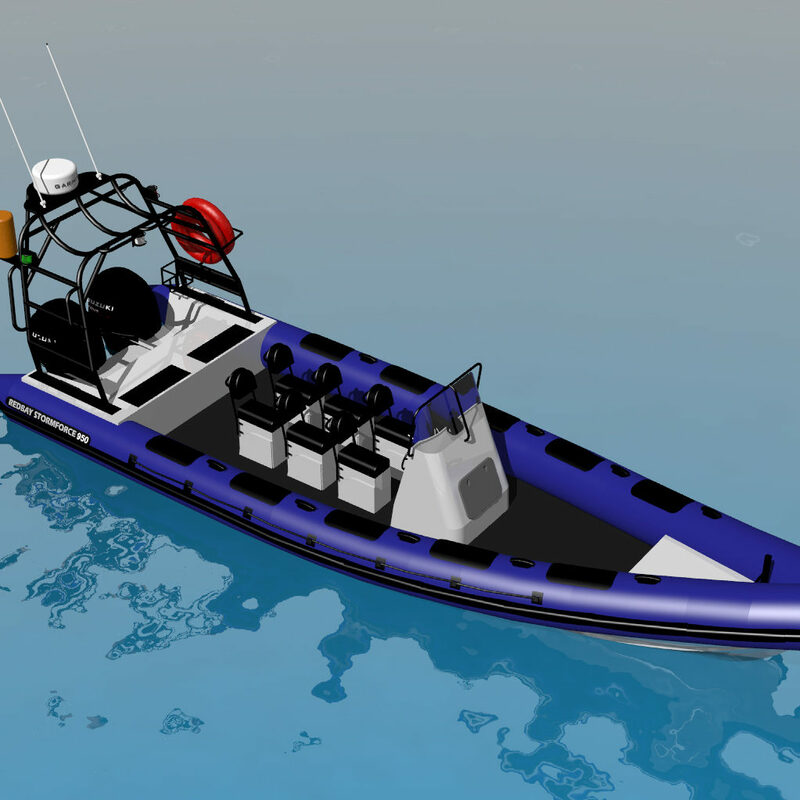 Developed by taking the best features from both our Stormforce 8.4 and our Stormforce 11 hulls and by morphing them together, we created the 1050. 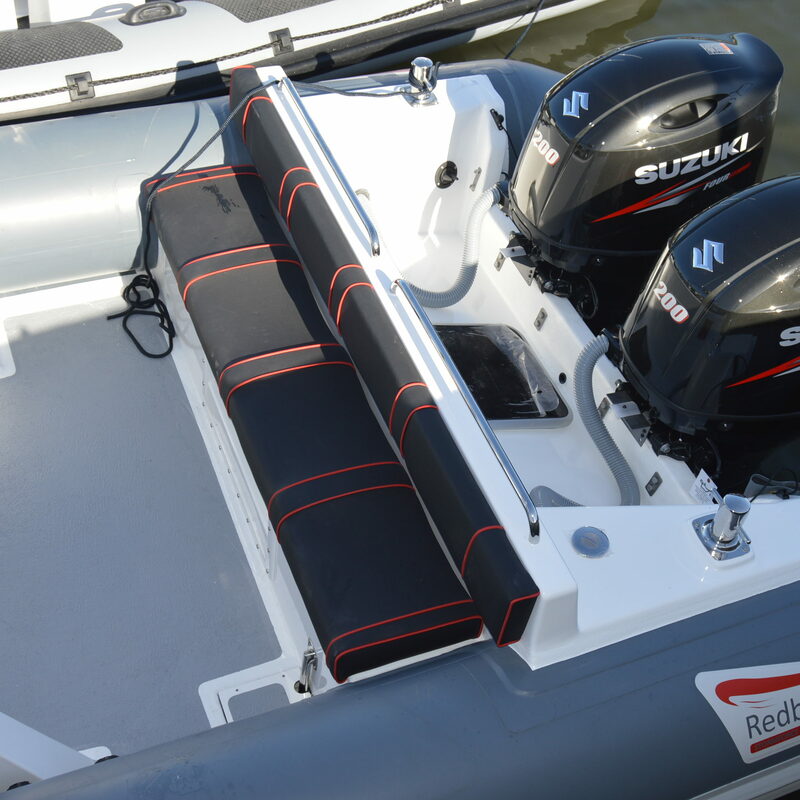 The hull benefits from the conventional Deep V profile and three down angled chines per side, this delivers an extremely smooth and dry ride, characteristics now synonymous with the Stormforce Hulls. 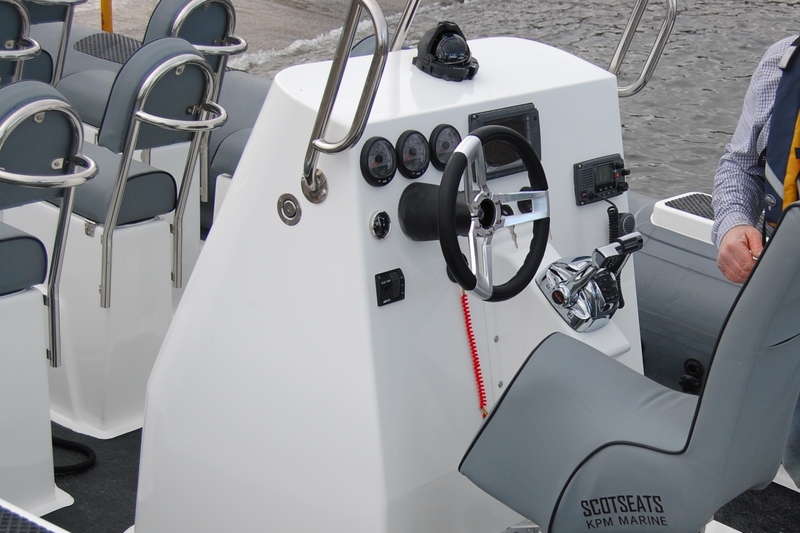 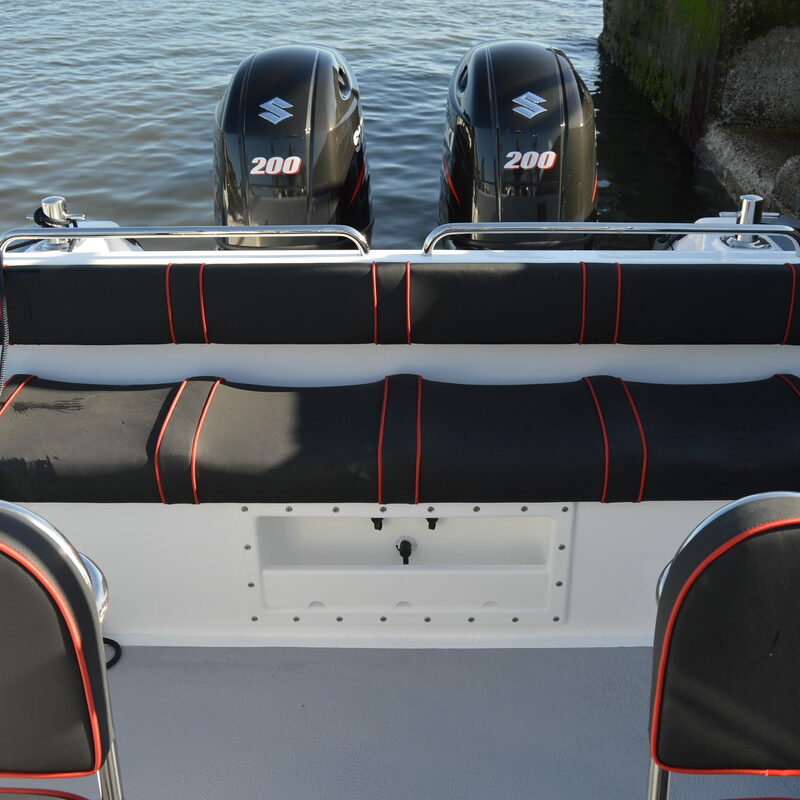 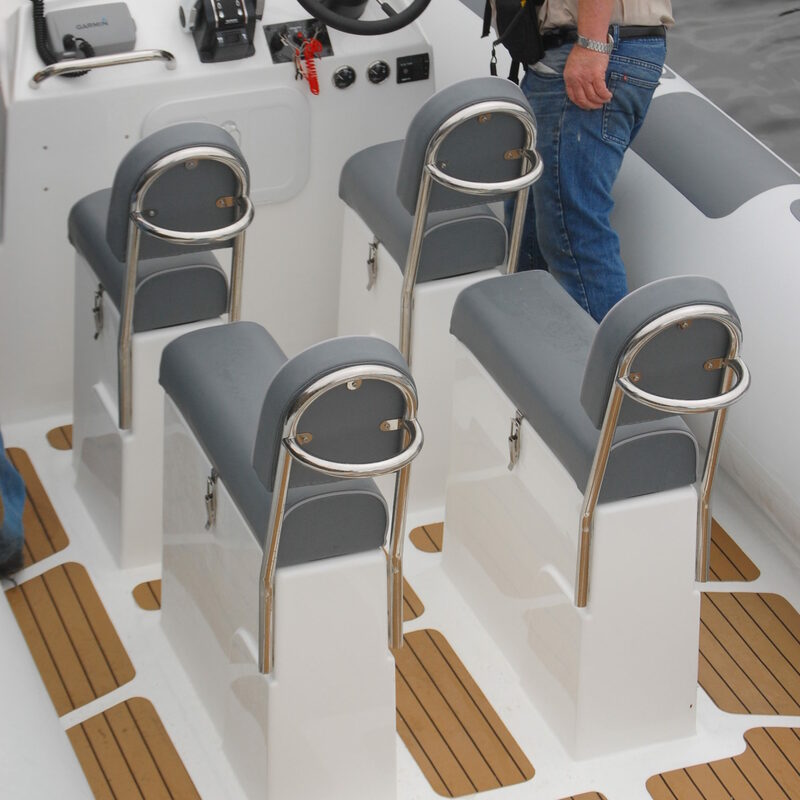 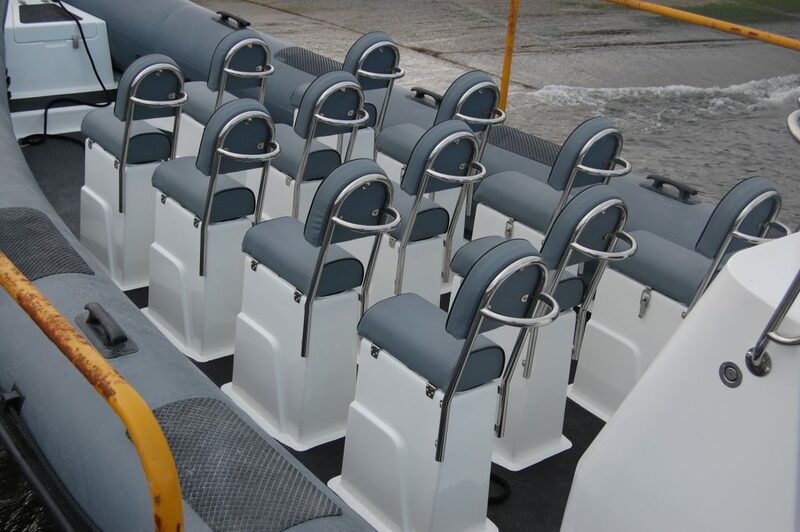 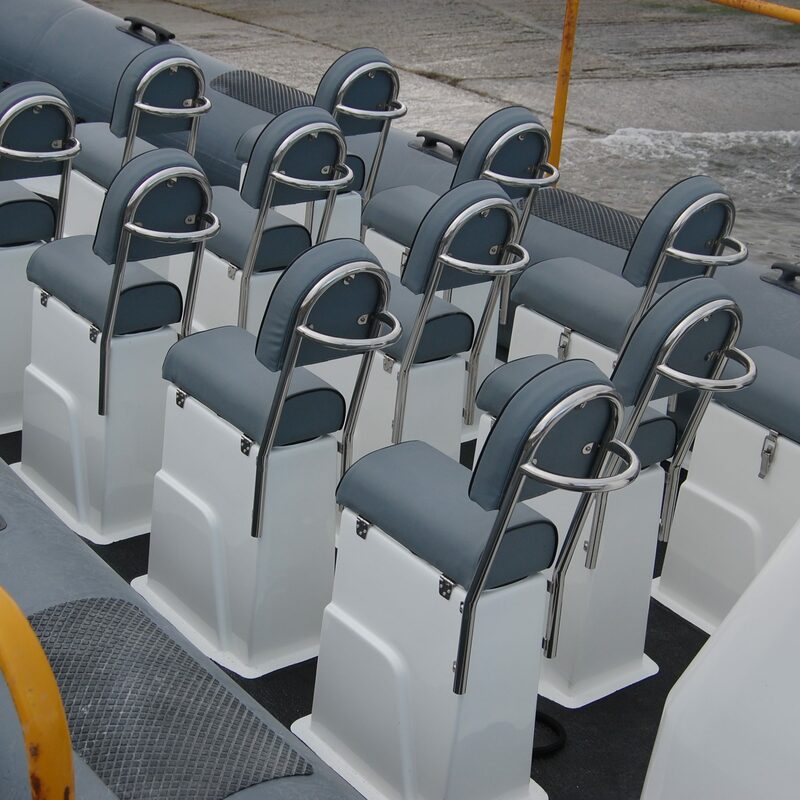 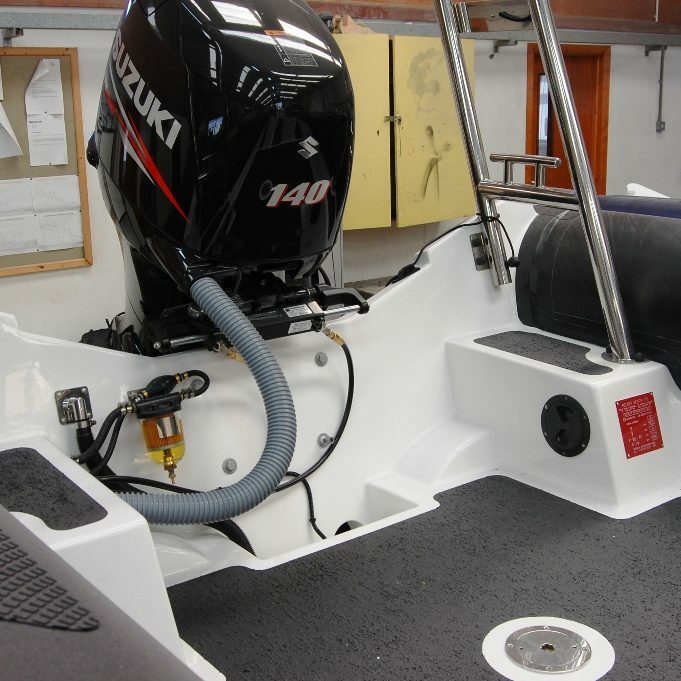 In addition it has the added benefit of a raised sheer line to the bow and greater loading carrying capacity to the stern which allows the latest and heaviest outboards to be twinned up on the transom. 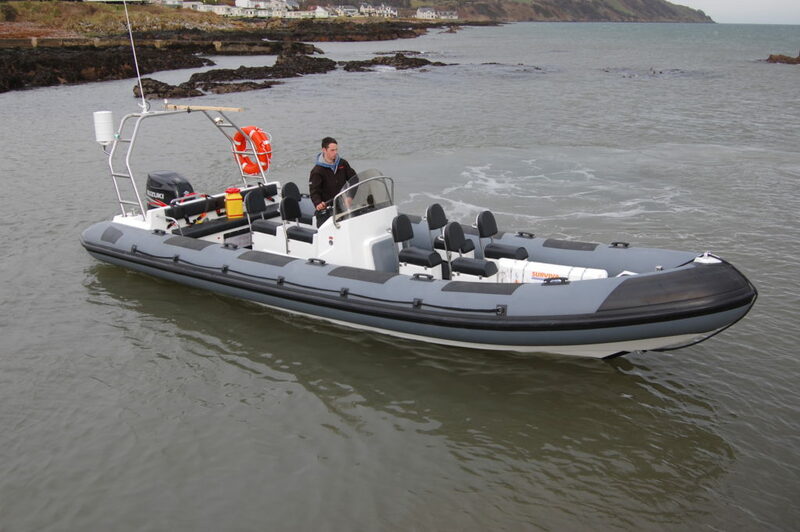 Forgetting about the serious side This particular model also doubles as a serious pleasure boat. 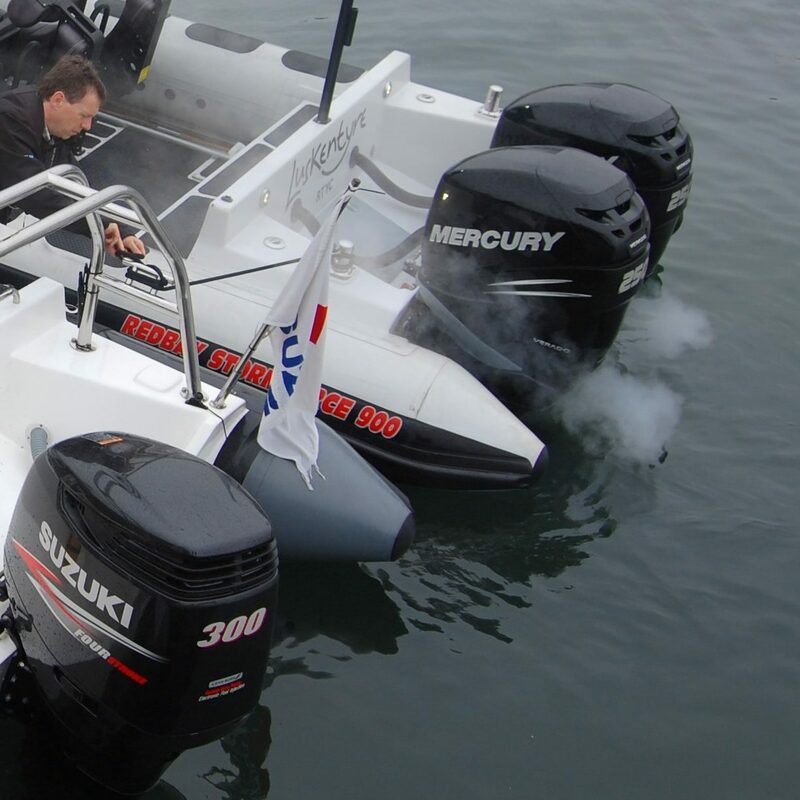 Our original prototype was developed as just that, the twin 300 Hp Suzuki Four Strokes push the boat on at 55 knots and it has set a few speed records locally. 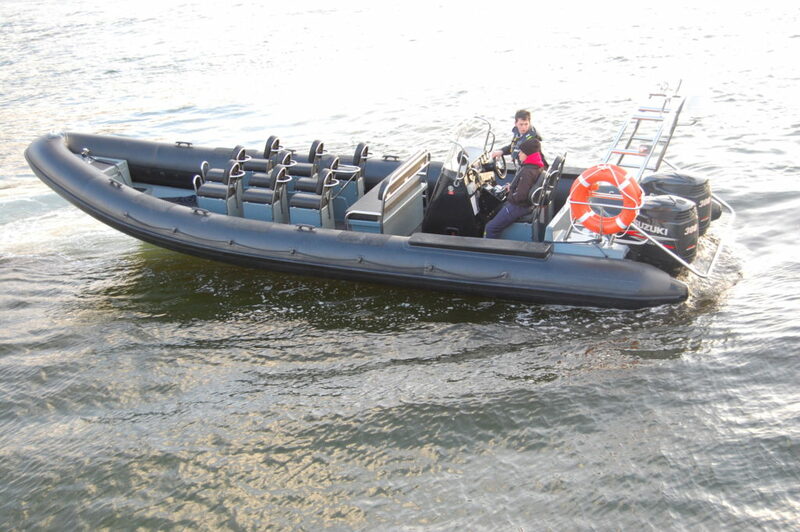 It is a real fun boat with a very serious side when required.